Privacy concerns fueled by the Snowden effect have triggered a massive spike in SSL traffic over the past three years. 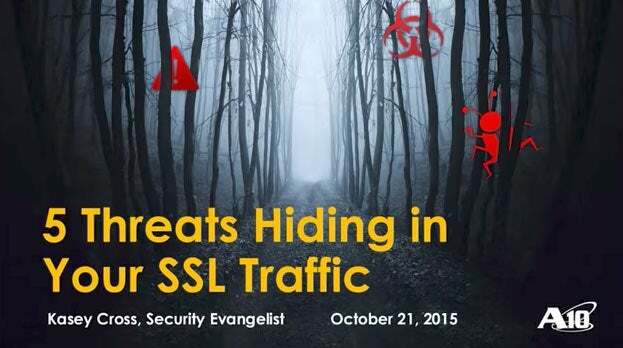 Today, cybercriminals are hiding their attacks using SSL traffic to circumvent existing security controls. What are the drivers for the massive growth in encrypted traffic? What are the solutions for uncovering hidden threats in encrypted traffic?